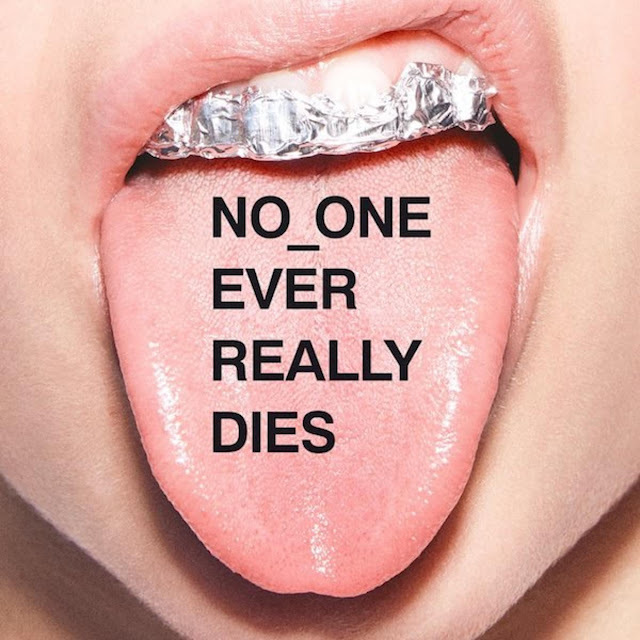 No One Ever Really Dies este cel de-al 5-lea album al trupei N.E.R.D. și a fost lansat în data de 15 decembrie 2017, prin i am OTHER & Columbia Records. ^[b] signifies an additional vocal producer. "Deep Down Body Thurst" features additional vocals by Mike Larson. "1000" features additional vocals by Alex DePersia, Mette Towley, Rhea Dummett and Phi Hollinger. "ESP" features additional vocals by Alex DePersia and Mette Towley. "Lightning Fire Magic Prayer" features additional vocals by Rocket Williams, Helen Williams, Rhea Dummett and Mike Larson. "Kites" features additional vocals by ASAP Rocky, Mary J. Blige, Rhea Dummett, Hana Hollinger, Phi Hollinger and Helen Williams. "Secret Life of Tigers" features additional vocals by First Summer Uika and Momose Momo of Billie Idle, and Cara Delevingne.